In 1966, GrandMaster Liu Yun Qiao, the former head trainer to the bodyguards of the President Chiang Kai Shek, (the Premier of The Republic Of China), retired from his post as Chairman of the Civil Defence Force in the Republic of China (Tai-Wan). He chose twelve disciples to pass down his skills and named his school Wutan. Most of these disciples were already highly skilled martial artists; some had been teaching in their own right for many years and so brought all their students with them to Wutan. 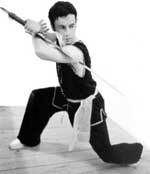 A school with wealth of experience and knowledge in traditional martial arts was created. Grand Master Liu Yun Qiao passed his skills down to many disciples, and many of these masters have spread their knowledge and skill throughout the world. One of Grand Master Liu's later students was Master Wu Song Fa (Ng Choong Fah), who was already a very skillful and proficient martial artist before he was accepted as a student of Grand Master Liu. He trained under strict supervision for six hours a day for many years before Grand Master Liu Yun Qiao finally accredited Master Wu as having mastered the arts of Wutan. Master Wu visits the UK annually to train students and disciples so that Wutan UK maintains the highest standards of Wushu practise. Master They Soon Tuan , a student of Master Wu Song Fa started teaching in the UK in the late 70's early 80's, 81 was the year Wutan Tai Chi International was registered in the UK. They Soon Tuan is the official director of taolu (wushu forms) for the BCCMA, the governing body for wushu in the UK. 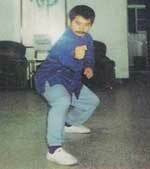 They Soon Tuan commenced his martial arts tuition with his father before his 7th birthday. 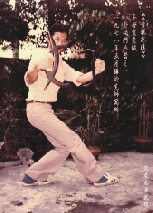 From that day on, martial arts became the most important part of his life. He spent at least 5 hours every day in training learning every technique and system that his crane style master recommended. After teaching on behalf of his teacher for 4 yrs in the East, he came to the UK. Having an oriental background, he understands that the reason many instructors cannot enable their students to fulfill their potential even after 20 years of hard training is that they discontinue their own training as soon as they have achieved Black Belt status. It is for this reason that Sifu They still returns regularly to visit his Master for further instruction. The Brighton branch was founded by Eddie Turner and Mary Stephenson, having both trained for many years under the instruction of Sarah Scotthorne at Wutan’s Nottingham branch. On deciding to leave Nottingham Eddie and Mary had thoughts of finding an existing Branch to train in, but after encouragement and support from the founder They Soon Tuan, saying 'you wait for the day you know it all and feel ready you’ll be old and grey already' landed in Brighton to sow the seed of yet another Wutan school. Wutan Brighton branch began in 2001 with humble beginnings at the Withdean sports centre. With a small group of Tai Chi students starting a 16 week course in Yang style Tai Chi. After a tentative start we found our way to the King Alfred leisure centre, where the Kung Fu classes began. Within a short space of time and some success we moved to a more central location to Brighton, the church hall, at St. Peters Church near the Level. From then on in Wutan Brighton has gone from strength to strength and has become a haven for Martial Arts enthusiasts.